ISLAMABAD, DEC 04 (DNA)- “China is committed to helping and supporting Government of Pakistan in addressing the core social challenges faced by the country including women empowerment, vocational training, education, Poverty alleviation & agriculture, said the Chinese Ambassador Yao Jing in a consultative meeting with Secretary BISP Omar Hamid Khan, today here at the Chinese High Commission Islamabad. Secretary BISP, Omar Hamid Khan briefed the Chinese Ambassador about in detail the key programs of the country’s largest Social Safety Net program including National Socio-Economic Registry (NSER), Conditional Cash Transfers, Unconditional Cash Transfers, Nutrition programs and the looming issue of the stunted growth in Pakistan. Considering the unprecedented historic support and collaboration of the Chinese government in all fields, the Secretary BISP also sought possible collaborations avenues for better engagement options in skill development, job placement, social sector engagement and ultimately poverty reduction based on the Chinese “DIL BAO” model, while has seen a massive exit over 800 million Chinese poor from throws of poverty in less than two decades. 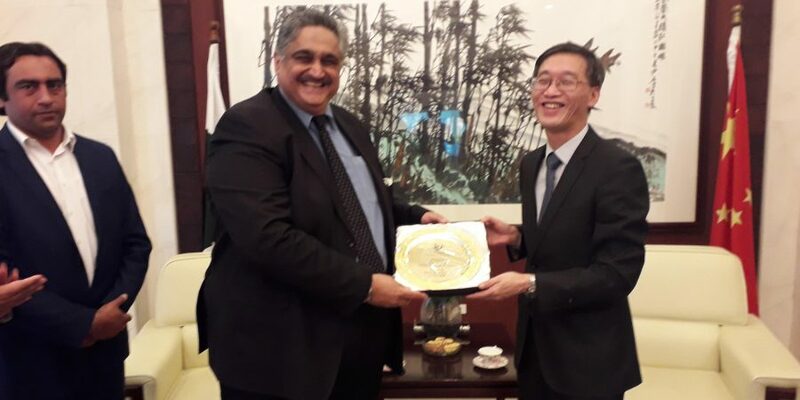 Ambassador Yao Jing, not only acknowledged the contributions made by BISP towards Social Safety net in Pakistan, but also expressed his complete support and cooperation in delivering productive output for the marginalized segment of the society. He extended special invitation to BISP management to initiate China-funded specialized vocational training programs and also offered to share new proposals for women empowerment and social protection to embed in China Pakistan Economic Corridor (CPEC). He stated that Ministry of Planning in Pakistan is the focal point for CPEC and BISP may collaborate for partnering.